A large police contingent has been deployed to Dube and Mfolo in Soweto following Tuesday’s minibus taxi related shooting. Six people were injured following an exchange of gun fire, allegedly between members of the WATA and NANDUWE taxi associations. Ten vehicles were also damaged. Since the beginning of the year, three members of the WATA association have been killed and members of both associations have been wounded as a result of the ongoing dispute over routes. Taxi commuters say they will be severely affected should the ranks of the WATA and NANDUWE taxi associations be shut down. Frank Khumalo has been commuting with taxis for the past 8 years in Soweto. He says the closure of the ranks and routes are going to have a negative impact. “This thing between WATA and NANDUWE fighting each other, this thing is very bad and now things are tight and with us who live close to catch a taxi, now we have to walk long distances to catch a bus,” says Khumalo. Meanwhile, the National Taxi Alliance has urged the leadership of the WATA and NANDUWE taxi associations in Soweto, to sit down and find solutions to their differences. 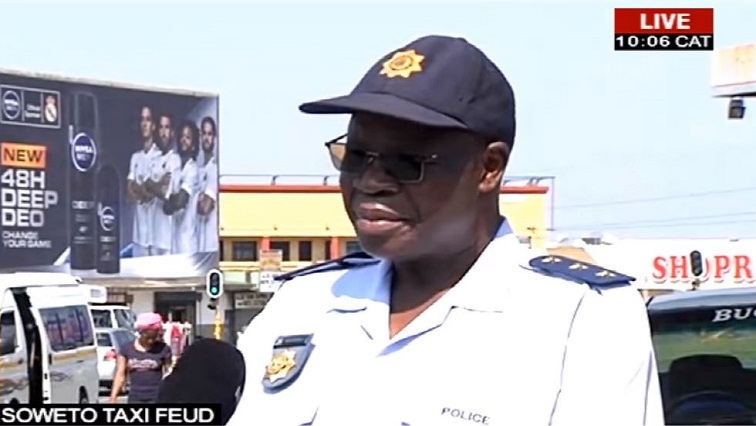 The post Police deployed in Soweto following taxi shooting appeared first on SABC News – Breaking news, special reports, world, business, sport coverage of all South African current events. Africa's news leader..